“Are you trying to direct us into World War Three,” she asked Trump, raising concerns over the president’s recent action in Syria, Afghanistan, and his rhetoric on North Korea. “We are not run and ruled by kings,” Jackson Lee reminded the crowd. 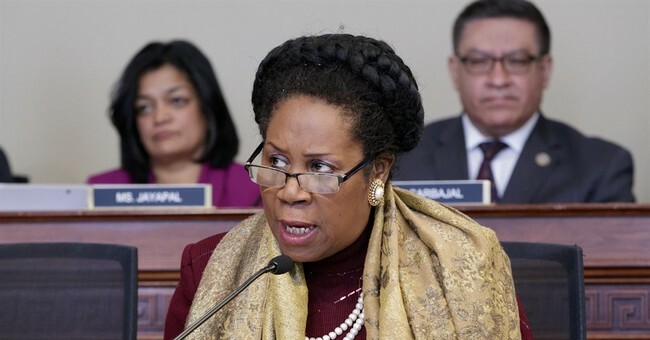 Rep. Jackson Lee has been a vocal critic of the president, accusing him last week of blocking “women from healthcare by defunding Planned Parenthood with a reckless Executive Order.” Lee was referring to President Trump’s reversal of Obama’s last minute law which prevented states from defunding Planned Parenthood.